Dave Concepcion(Lead),Pat Russo(First Tenor),Vinnie Santorelli(Second Tenor),Steve Murphy(Baritone) and Frank Del Calvo(Bass). 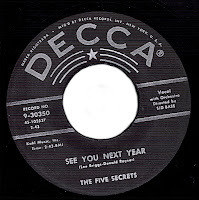 The Five Secrets started in 1955 with four members Dave Concepcion,Pat Russo,Eddie Moirello and Carl Callucci in late 1955 Eddy went into service and Carl dropped out of the gr oup.they were replaced by Vinnie Santorelli and Steve "Tex" Murphy but the group need a bassman and they adde Frank Del Calvo. In 1956 the group signed a contract with Decca Records and the record company given to the group two songs the Cleftone's_See You Next Year and_Queen Bee.the group don't want record a cover but the company tell"record what's given or don't record"these sides was released in 1957 without success. 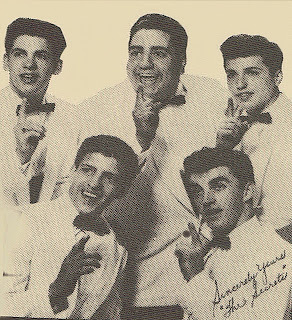 In only a few short weeks the group signed for Herald Records as The Loungers in this time Steve left the group and was replaced by Pat Brother Bernie Russo these recorded in 1958_Remember The Nite/Dizzy Spell. Nothing much happened for The Loungers at Herald the group broke up so on. About the different names of the group the Decca release was first lebeled as The Five Secrets later the repro copies only as The Secrets. 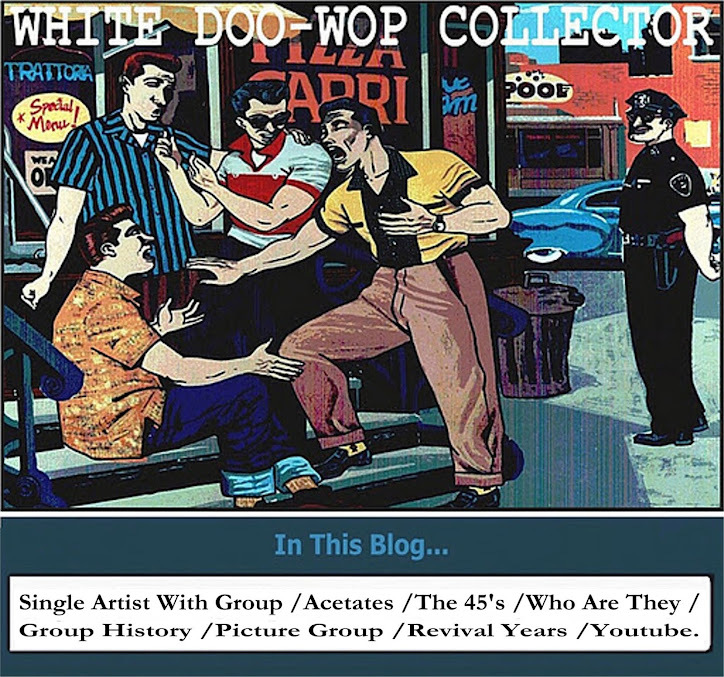 In 1962 Vinnie Santorelli and Bernie Russo formed a group called The Uniques and recorded for Flippin Records_Do You Remember/Come Marry Me. 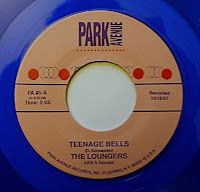 Unreleased sides of the group were pressed in vinyl by Park Avenue Records in 1991 these sides were recorded in October 1957_Teenage Bells/Wedding Bells. Listen or Download_See You Next Year. Listen or Download_Come Marry Me. The original group consisted of Dave Concepcion, Pat Russo, Vinnie Santorelli, Steve Murphy, and Frank Del Corvo. Ed Mauriello and Carl Carlucci replaced Vinnie Santorelli and Steve Murphy when they left the group.